The School District of Pickens County contracted Raymond Engineering to evaluate the building envelope of the Pickens Middle School. 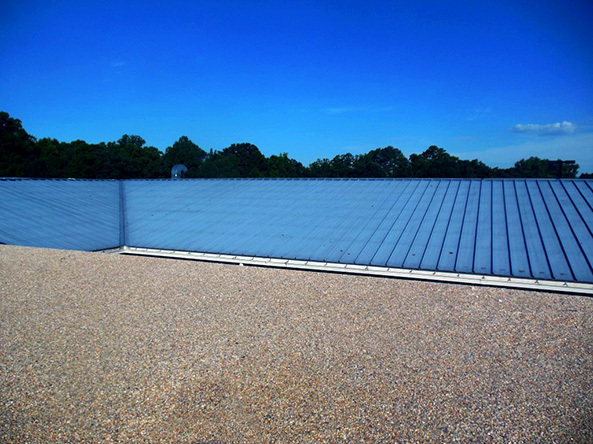 At the change of elevations there were no through-wall flashings in the masonry walls above roof line. 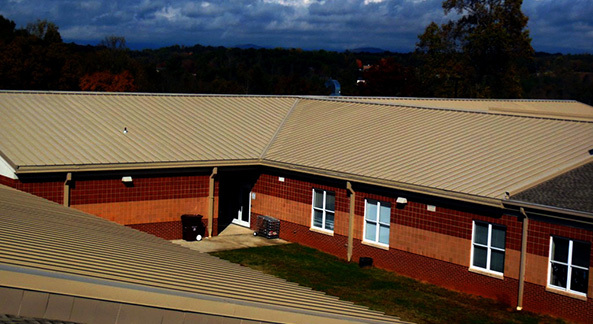 Numerous additions were added to the school. 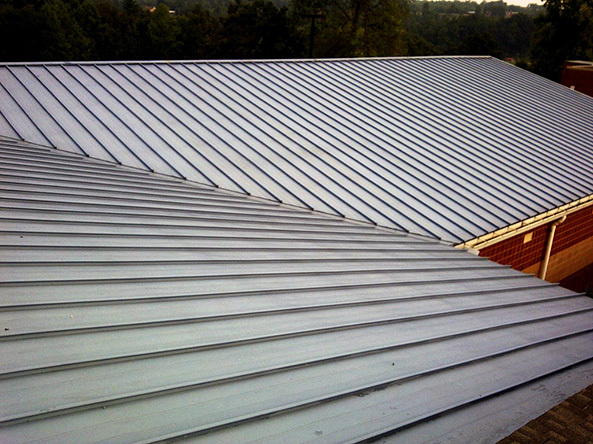 On three wings a metal roof panel over open Z-purlin system was found. 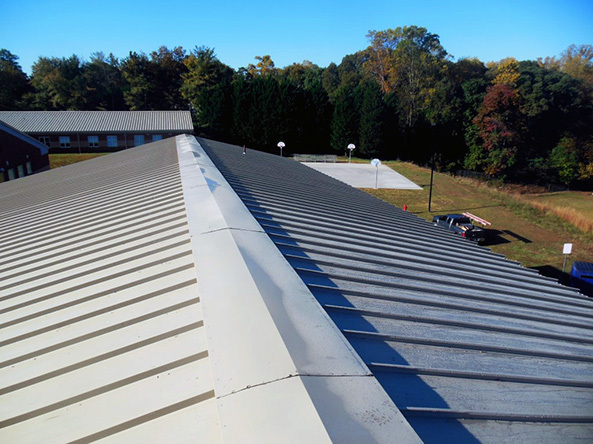 During a recent renovation project, heavy foot traffic dented the embossed aluminum roof panels and the ridges throughout, which resulted in numerous leaks throughout each wing. 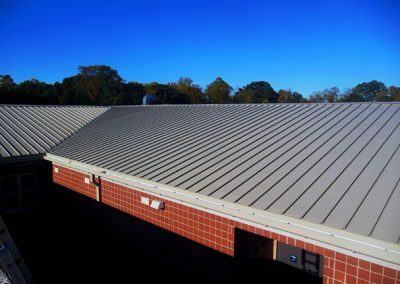 The Gymnasium design included the installation of a new 4-ply built-up roof system with tapered insulation, flashings and metal flashings, gutters and downspouts, and other miscellaneous items so that it would qualify for the roofing system manufacturer’s 20 year No Dollar Limit guarantee. 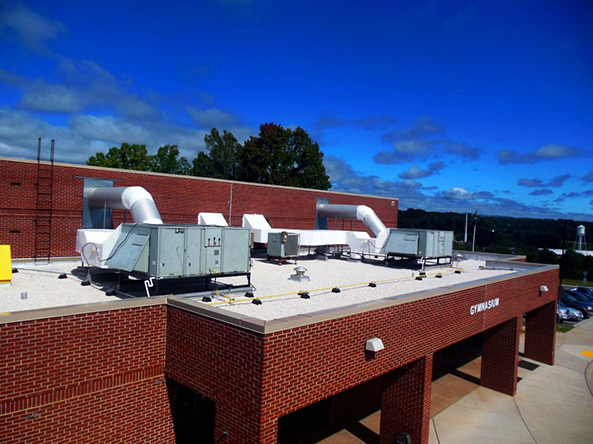 Appropriate measures were addressed to remediate the hazardous materials in accordance with OSHA standards and other governmental regulations. 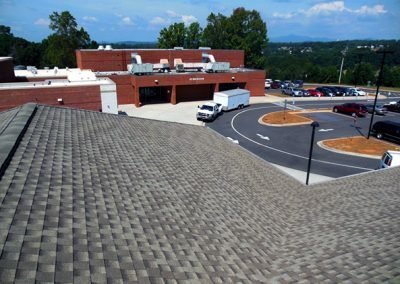 The design also included removing 3 courses of brick on all masonry walls above roof level and the installation of new through-wall flashings. 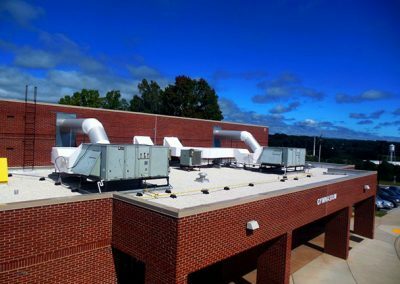 It also included re-caulking all masonry wall control joints above grade. 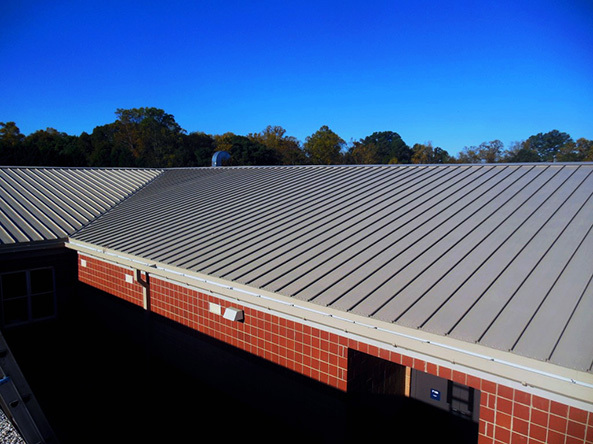 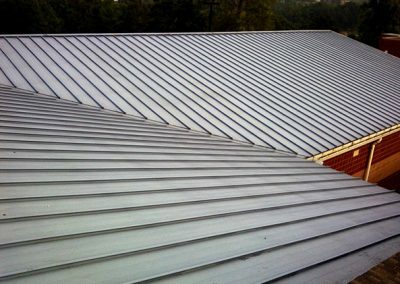 In addition, the design included retrofitting the three metal roof areas with a Roof Hugger™ system. 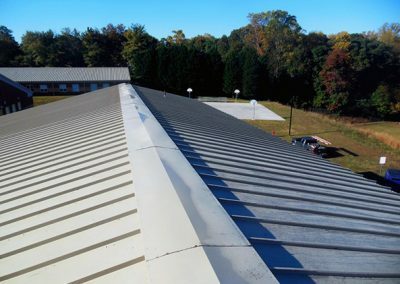 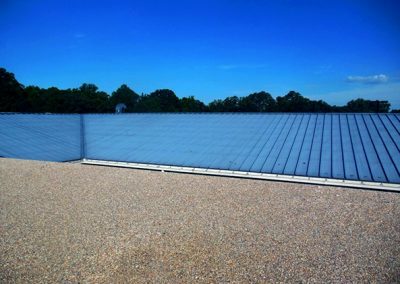 This included the installation of a new metal panel roof system and associated metal flashings that provided the owner a 20-year weather-tight roof system guarantee. 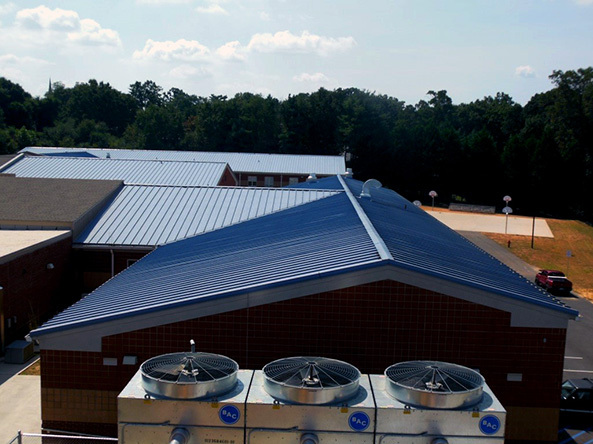 The design addressed all the current deficiencies, resulting in a water tight and more efficient building envelope. 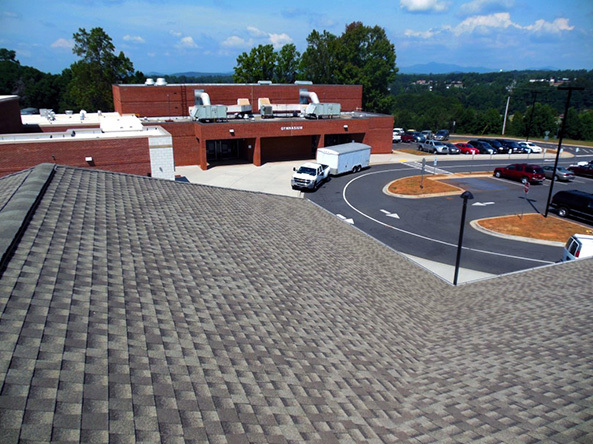 The added R-value in the roof insulation with a white gravel surfacing will save the owner on future utilities costs.